I don't get very many of those spam calls (if you do I recommend this). On the other hand I get tons of calls from recruiters that I am interested in, so for me "unknown numbers" are pretty pickup-worthy. Topic: DNA Modeled P.Random Numbers? Re: DNA Modeled P.Random Numbers? Wikipedia's entry on Culture for the 2000s is...depressingly empty. My mom has a friend who would probably be fine with the GPS car. She owns three GPS devices and programs them all for different destinations so she can argue with them. How did he forget blueberries? slinches wrote: What's with the Google maps link to Lexington KY? The link text says "Citation needed" so the link is to Citation Blvd. What you missed was the restaurant hovering nearby. Something about reptiles and being hot as a furnace. The Moomin wrote: Title Text: If anyone tries this on you, the best reply is a deadpan "Oh yeah, that's a common potato chip flavor in Canada." 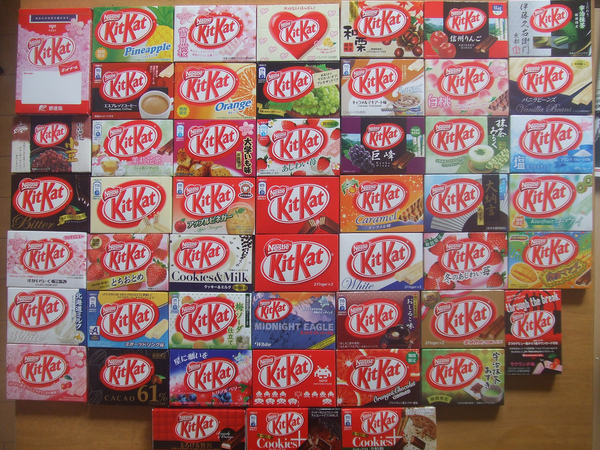 Or a Kit-Kat flavor in Japan. Now that Amazon has fast delivery of things, any call for a return service on the packing materials? Hrm. I'll try giving that a shot. Hey Carl, nice [and easy to use it for a few weeks]. I take issue with the title text. There's no reason to wait until 2032. The 2020 elections are the first one where someone who watched the internet age as they did will be able to run. Because I'll be turning 35 that summer. Topic: 1348: "Before the Internet"
Re: 1348: "Before the Internet"
And found that it 503'd. So does the main blag link. I also noticed that the above link is blog.xkcd whereas the main link is blag.xkcd. Not sure it matters, it was just interesting. super_aardvark wrote: the computer scientist is sitting there trying to figure out what computer-world scenario is being represented by the making out, and becoming very confused. Topic: 1298: "It's a beautiful day in the neighborhood!" Re: 1298: "It's a beautiful day in the neighborhood!" suso wrote: What I'm wondering is why the Earth is at the center (or near center) of this diagram? Are we still that arrogant? Friend of mine has a Chrome plugin telling him his maximum number of open tabs. He checked it the other day and it was almost 300. I'm sure comic this is a problem for him.